She was being sincere. She was trying to make him feel better after Mufasa scolded him. The animation and delivery makes it pretty clear, and it's not really a situation where she could take a jab at Simba. Captain Cupcake wrote: She was being sincere. She was trying to make him feel better after Mufasa scolded him. 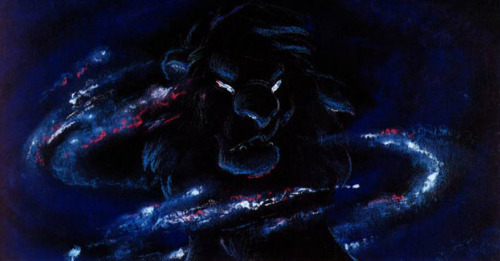 The animation and delivery makes it pretty clear, and it's not really a situation where she could take a jab at Simba. Thank you. For the longest time I didn't know what she meant by it. It was without a doubt a sincere moment where Nala was offering comfort and support to Simba. When I saw the musical version in London however, some people laughed when Nala said this line - and I couldn`t understand why. It`s not a comical moment, she doesn`t say it as a joke, and Nala is right, Simba was acting very brave - and foolhardy, but showing courage nonetheless. I always took it as sincere, she looks sad when delivering the line, and the tone of the scene is very somber. For it to be sarcastic wouldn't really make much sense. I mean she was obviously frightened of the hyenas, and Simba tried to protect her from them. It was definitely sincere. Sure, Nala is sarcastic and playful at times, but she's also smart enough to know when it would be inappropriate to do so. Simba slashed Shenzi's cheek and stood in front of Nala, ready to protect her, even though both of them knew that protection likely wouldn't last for long. Nala's gonna give credit where credit is due, and it's quite clear that Simba was very brave from her perspective. As a lil kid, I thought she said it to reproach him for failing to live up to his earlier bravado. As an adult, it seems she was being sincere. Even when I first saw it when I was eight I knew she was trying to comfort her friend who was upset and sad about being scolded by his father. She's basically saying "Don't be upset, you're my friend and you were brave." She wasn't being sarcastic but trying to comfort Simba who feels he's let down Mufasa and is scared of the repercussions of what will happen. I think it's more sincere then sarcastic. Given her expression during that scene. Makes sense with how brave Simba was acting.